Made by Lys ! 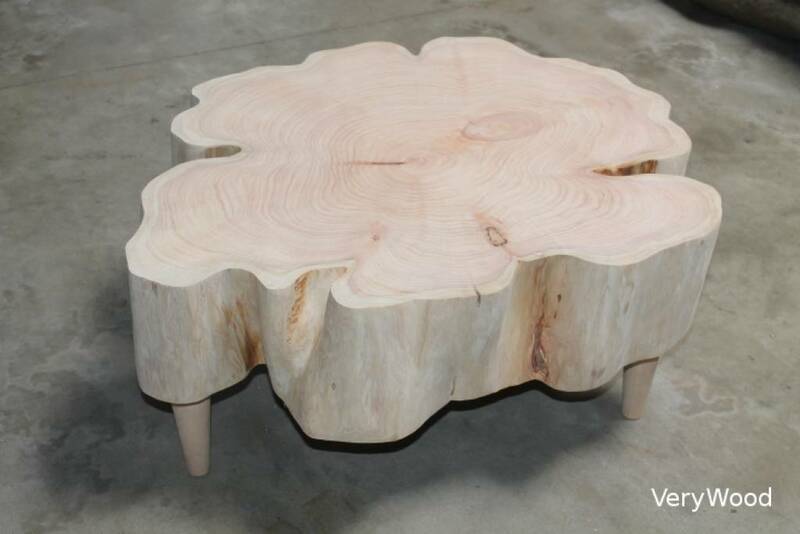 We propose you our coffee table in raw wood and on wheels. Natural light wood in Cypress. The form and sizes depend of the tree used. Possible to make the top in black.